National Museum of Industrial History contracted B.R. 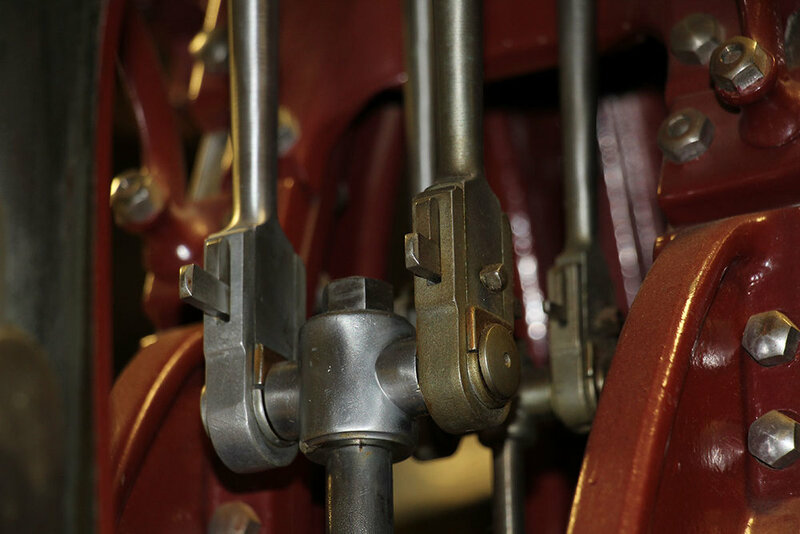 Howard to conserve their large Corliss Pumping Engine Model that was going to be displayed in their newly constructed museum. The model was crated and shipped to our facility to be assessed, photo documented and conserved. Accumulated dust and lubricants were removed from the surfaces with micro bristle attachments on heap vacuums and cleaned with aqueous cleaning solutions. Small areas of corrosion on the steel and nickel surfaces were mechanically reduced and stabilized. Brass elements that had tarnished were polished and lacquered. Some of the painted wooden elements had fractured and detached and were re-adhered, filled, and in-painted were areas of loss had occurred. Areas of flacking paint were consolidated. Scratches on the wooden display base were toned to match the adjacent surfaces for better aesthetic appearance. All surfaces were then waxed and buffed. 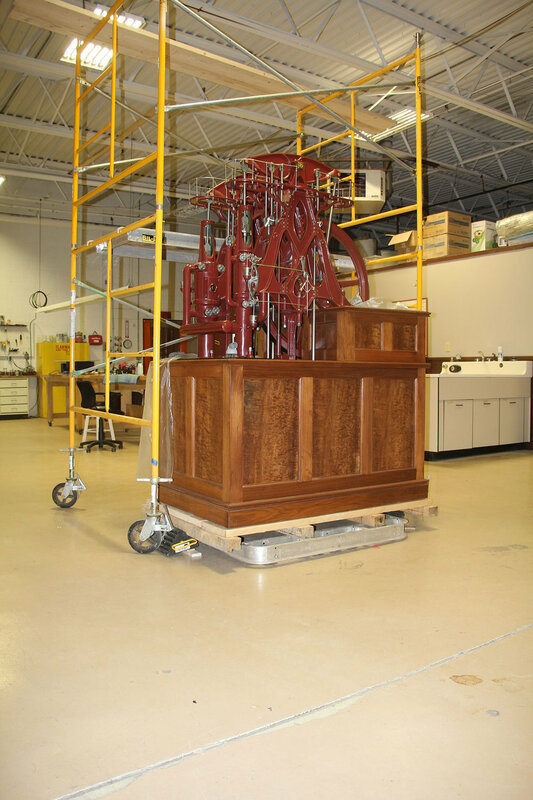 The Corliss model was safely returned and is currently on display.